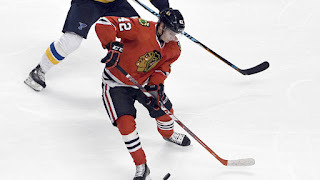 During the All-Star break, the Chicago Blackhawks recalled rookie defenseman, Gustav Forsling from the Rockford Icehogs, and placed defenseman, Michal Rozsival on injured reserve. Rozisval was injured during practice last Wednesday, and is IR status is retroactive as of that date. Forsling, 20, was a surprise roster addition at the beginning of the year. Originally drafted by the Vancouver Canucks, in the 5th round (126th overall), of the 2014 NHL Entry Draft, he signed a 3-year entry level contract with the Hawks at the beginning of this year, with an annual salary cap hit of $872,500 per year, per capfriendly.com. This, is rookie year, Forsling has appeared in 32 games for the Hawks, gathering 4 points (1G 3A), +4, with an impressive 14:50 TOI. He finished a short stint in Rockford, where he appeared in 11 games, tallying 5 points (1G 4A). The Blackhawks (30-16-5, 65pts.) start a 6-game road trip, Tuesday night, when they take on the San Jose Sharks (31-17-2, 64pts.). Blackhawks Limp Into All-Star Break. Is It Time To Panic? 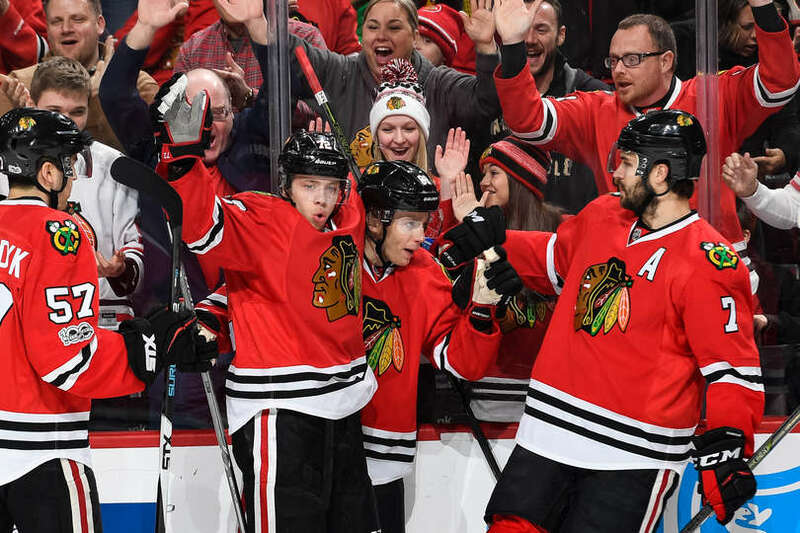 Four days off could not have come to the Chicago Blackhawks at a better time, after they find themselves limping into the All Star break losing their last two games in heart breaking fashion. 78-0-5. That was the Blackhawks' record when leading after two periods going into last Tuesday's game against the Tampa Bay Lightning. Entering the third period, Tampa Bay scored 4 times (1 empty net goal) to stun the Hawks and deal them their first loss in over 2.5 years, when leading after two periods. 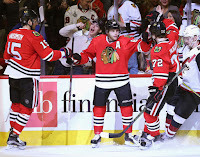 Thursday night, the Blackhawks held a 3-2 lead against the Winnipeg Jets heading into the third period. 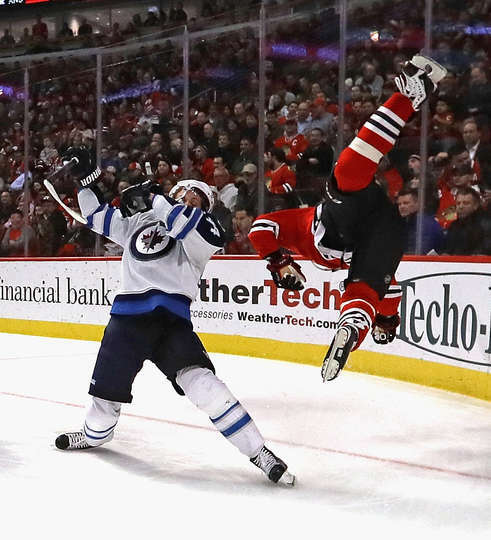 The Jets tallied 3 goals to grab a 5-3 win at the United Center. Both games on home ice. They have been outscored, 7-0 in the third period of those two games. Something that doesn't sit well with the team. 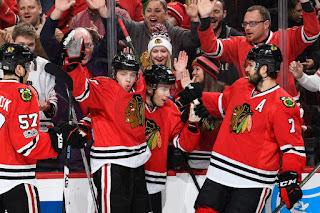 Defenseman Niklas Hjalmarsson stated that "We could have had four points, and we [came] away with none", reported by Mark Lazerus of the Chicago Sun-Times. "That hurts." The Blackhawks this year are filled with young players like Ryan Hartman, Vinnie Hinostroza, Nick Schmaltz and Tanner Kero. All have contributed to the success of the team this year, but they are still young. Back checking, positioning, penalties. These are areas they have needed some work with this year. There will be games like the ones this week. Learning experiences. 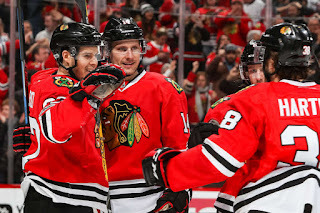 The Hawks lead the league in one goal games with 30 in 51 games (18-7-5). Good experience for those young players come playoff time, when those close games are the ones they will need to know how to win. But will that be enough? Is it time to panic for Blackhawks fans? Trade Crawford! Toews is overpaid! This team is going nowhere this year! Yep, those comments have been made already. Everyone is entitled to their opinion, but I would say they are a bit premature. If I checked the calendar, it still showed late January. Still over a third of the season remains. This is the time where the Hawks tend to hit their "dog days of winter" mode, where they don't play their best hockey anyway. They will come off of the All-Star break, straight into a 6-game road trip. Another good test for this team to re-focus. History and experience is still behind this team. They are far from being a second thought come this post-season. These players know what it takes to win. There will be bad games and they will learn from them. Coach Joel Quenneville has been in this league too long to let his team putter out. Time will sort out what happens. Till then, lets enjoy the All-Star weekend, and the remaining third of the season before the games really count. 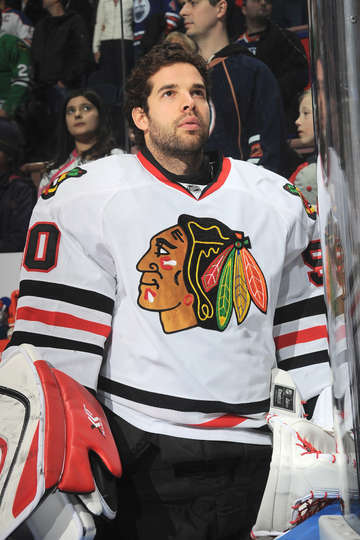 Sunday night, Chicago Blackhawks goalie, Corey Crawford, became just the 4th goalie in franchise history, to win 200 games with the club. Crawford can arguably be put into the list as one of the Blackhawks greatest goalies. Crawford, 32, was drafted in the second round, 52nd overall, in the 2003 NHL Entry draft by the Blackhawks. After spending five full seasons with the Blackhawks' affiliate (Rockford Icehogs/Norfolk Admirals), where he accumulated 135 wins, he finally broke into the NHL full time during the 2010-2011 season. A major decision was left to the Blackhawks brass as whether to keep Antti Niemi, a rookie, who brought Chicago its first Stanley Cup in 46 years, or go with the seasoned AHL-er, Crawford, thanks to the NHL salary cap that was put into place. Much to the dismay of some Blackhawk fans, upper management decided to go with Crawford and let Niemi leave for free agency and the San Jose Sharks. 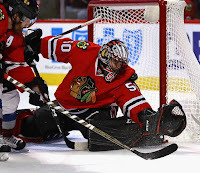 In his first full season, Crawford put up very good numbers, (33-18-6, .917 SV%, 2.30 GAA). He finished 4th in the Calder Trophy voting that year for Rookie of the Year honors. Unfortunately, Chicago would have a first round exit in the playoffs that year, dealt to them in a 7 game series, by the Vancouver Canucks. The following year, the Hawks left again in the first round, this time to the Phoenix Coyotes. Crawford was the scape goat for both seasons as many questioned his inexperience in the playoffs. Many wanted him gone. Amazingly, some still do. In the 2012-13 season, Crawford and the Blackhawks went on an unbelievable run with a 24 game unbeaten streak to start the season. They would cruise their way to the playoffs that year. 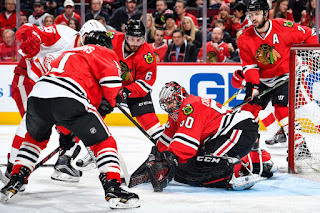 But questions remained about Crawford and how he would perform in the playoffs, despite huge numbers in a lock-out season (19-5-5, .926 SV%, 1.94 GAA). Crawford made his critics eat their words about his doubts with his play on the ice as he took the Blackhawks to their 2nd Stanley Cup in 4 years. He started every game that post-season going 16-7 with a .932 SV% and a 1.84 GAA. Although Patrick Kane was named Conn Smith winner, Playoff MVP, even he said that Crawford deserved those honors and not him. The following year, Crawford and the Hawks were a blown offsides call off, in overtime, of Game 7 in the Western Conference Finals, of possibly heading back to the Stanley Cup, but it wasn't meant to be against the Los Angles Kings. In 2015, however, they would reclaim Lord Stanley's Cup for a 3rd time in 7 seasons. It wasn't a smooth series by any means for Crawford. 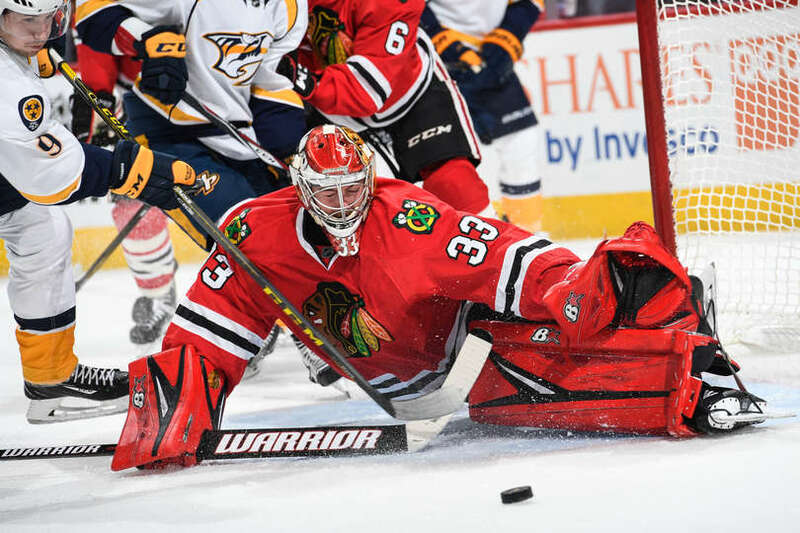 In a 1st round match-up with the Nashville Predators, Crawford had a horrendous series, being pulled twice and benched twice, for rookie Scott Darling. The Hawks, thanks to Darling's play, would defeat the Predators in 6 games. Coach Joel Quenneville decided to go with Corey Crawford in the next round against the Minnesota Wild, despite the critics and some enraged fans who questioned his decision and Crawford's play. Crawford was lights out against Minnesota, and was key to a 3 games to 0 comeback against the Anaheim Ducks. He was huge against the Tampa Bay Lightning in the Stanley Cup Finals and won Game Six by shutting them out, 2-0 for the series clinching win. 2nd in Goals Against Average (2.36). Amazingly, there are those that still call for him to be traded after giving up a soft goal, never minding the fact the he saved twelve other scoring chance opportunities to keep the Hawks in a game. He's earned his stay, his salary, and the right to be talked about as one of the Blackhawks' greatest goalies. 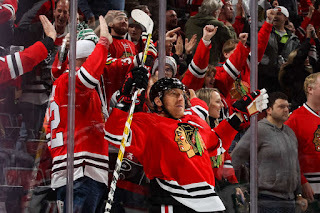 For the last 10 years, the Chicago Blackhawks were among the talk come free agency in capturing the big names of the time; Brian Campbell (2008, 2016), and Marian Hossa (2010). There were also the semi-big names; Ray Emery (2011), Michal Handzus (2012), and Brad Richards (2015). 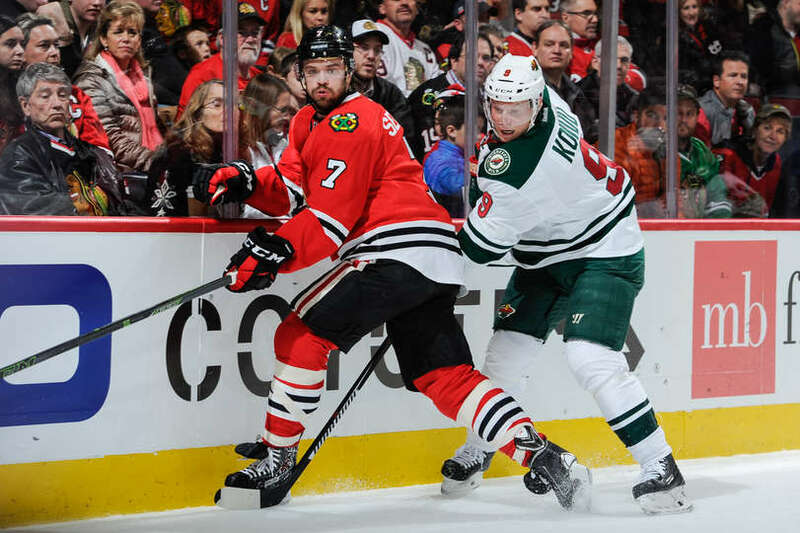 The trade deadline and offseason transactions have been no different for them over the years; Michael Frolik (2010), Johnny Oduya (2011), Nick Leddy (2010), Viktor Stalberg (2010), and Antoine Vermette (2015). All of these players would win at least one Stanley Cup with the Blackhawks. Except for Richards and Vermette, all would play multiple years for the Hawks. Stan Bowman, the General Manager for the Blackhawks, is the puppet master behind those strings. 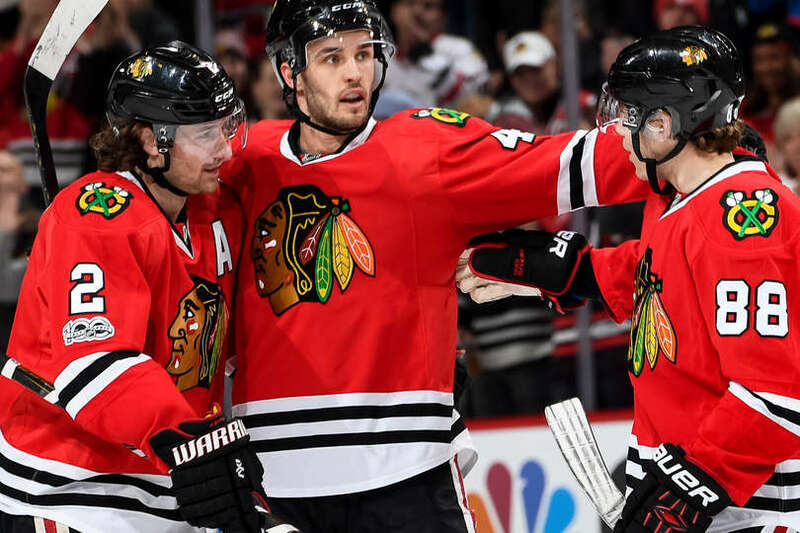 Now, he finds himself testing the lines again as the trade deadline approaches, and two big names are at the top of the rumor mill; ex-Blackhawk, Patrick Sharp, and future Hall-of-Famer, Jarome Iginla. Either of these wingers would find themselves along side Jonathan Toews, who has struggled this year with only 22 points (7G 15A), in 39 games. Both of these players would be rentals as they both have expiring contracts at the end of this year. The Blackhawks could have enough money for cap space considerations when the trade deadline approaches for either of them. The question is, who will they have to give up, and for whom? It is unlikely Bowman will trade away the 1st overall pick, as he has done the last two years, due to the fact that Chicago will be hosts to the 2017 NHL Entry Draft this upcoming summer. 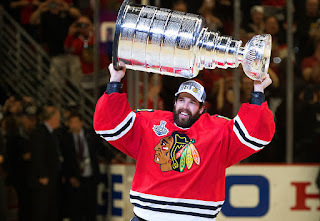 Also, last year, in an attempt to capture a 4th Stanley Cup in 7 years, he gambled big time and lost at the trade deadline last year as he sent the 2016 #1 pick, along with touted rookie, Marko Dano to the Winnipeg Jets, for ex-Blackhawk, Andrew Ladd. Ladd never found himself, as he scored just 2 points (1G 1A), in a 7 game series, 1st round loss to the St. Louis Blues. Instead, whispers of young defenseman, Trevor van Riemsdyk has been mentioned, along with a 3rd or 4th round draft pick. TVR still has one year remaining at a cap hit of just $825k. But to a Blackhawks team that just signed Artemi Panarin to a 2 year extension worth $6mil per year, they need all the space they can get going forward next year. With young defensemen, Gustav Forsling, Erik Gustaffsson, Viktor Svedberg, and Carl Dahlstrom, sitting in the minors, they can afford to part with TVR. But to pick between Sharp and Iginla, one would have to pick Sharp over Iginla, regardless of his 616 career goals. Why? Chemistry. Any player, regardless of NHL experience, has struggled in coach Joel Quenneville's system over the years. Trevor Daley was traded for Sharp while in Dallas in hopes to bolster the Hawks defense with some offense before the beginning of the season last year. He never took to the system registering just six assists in 29 game and was swiftly traded to the Pittsburgh Penguins before he had a chance to have a slice of deep dish pizza. Richards and Vermette were healthy scratches for a period while they acclimated to the system before fitting in. It seems to take a good 20-25 games before someone new, outside of the farm system, adjusts to their play. Is Bowman willing to risk that? Possibly. But Sharp knows the system. He's won 3 Stanley Cups, and with THIS Blackhawks team. Time will tell on which string the puppet master will pull, but one thing is for certain. The Blackhawks will not be sitting around at the deadline. They will be looking to find that missing cog to bring Lord Stanley's Cup back to Chicago. If not for Jaromir Jagr, Chicago Blackhawks' right winger, Marian Hossa would arguably be the oldest player in the league that is still making a major impact in scoring production for his team, and shows no signs of stopping. Hossa, who recently turned 38, hit another milestone in his career as he recorded his 600th career assist Wednesday night in Colorado. A night where he recorded 3 assists and was a +4. On the season, Hossa, in 41 games has 28 points (16G 12A). 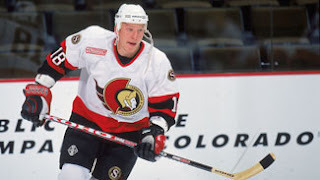 Hossa was drafted 12th overall in the 1997 NHL Entry Draft by the Ottawa Senators. He quickly became a star there averaging nearly 27 goals in his 7 year career there. He also finished second in Rookie of the Year honors for the Calder Trophy to Chris Drury of the Colorado Avalanche. He then went to the expansion Atlanta Thrashers, where he scored 100 points in the 2006-07 season. He was then traded to the Pittsburgh Penguins at the trade deadline the following year to make a run at the Stanley Cup. Although he made it to the Finals, the Penguins fell to the Detroit Red Wings in six games. Eager to get himself a Stanley Cup, he then hopped over to the Red Wings on a one year deal to finally quench his thirst for the Cup. Again, Detroit and Pittsburgh met in the Finals. And again, Hossa found himself on the losing side, losing to the Penguins in 7 games. Hossa tested free agency again, but not without a long term deal offer from the Red Wings. Instead, Hossa saw what the newly revived Blackhawks had in their young team and signed with them for 12 years. 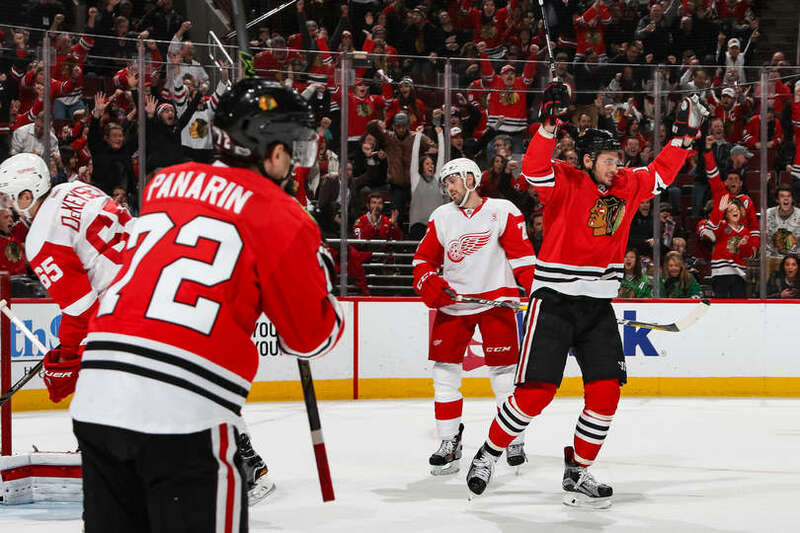 The previous season, the Red Wings beat the Blackhawks in the Conference Finals, 4 games to 2. Hossa was impressed with the young talent they had. In his first season with the Hawks, Hossa again, found himself in the Stanley Cup Finals, for the third straight season. This time, the third time was a charm for Hossa. The Blackhawks defeated the Philadelphia Flyers in six games to win Lord Stanley's Cup. 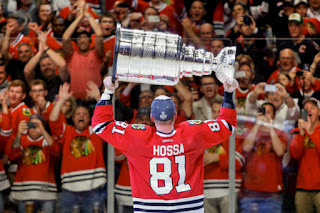 Captain Jonathan Toews, knowing Hossa's journey, quickly passed the Cup to Hossa first, to let him reel in glory. The frustration had ended for Hossa. The signing turned out to be a wise move for Hossa as he would win two more Stanley Cups within the next five seasons. This season, Hossa, known as "The DemiGod" by fans in Chicago, has hit milestones throughout the year. Other than his 600th assist tonight, he recorded his 1100th point early in the season. And on October 18th, 2016, he became just the 44th player in NHL history, to have scored 500 career goals. He currently sits at 515. Now one would have to wonder, what type of career numbers he would have had if the NHL had not gone through an entire season due to a lock-out (2004-05), along with another shortened season where they missed another 34 games (2013) for the same reason. The '04-'05 season was in the midst of Hossa's prime, where he averaged 41 goals between the 2002-2007 seasons. With four years remaining under contract, and at the rate he is going this year, he could have easily surpassed, instead of threatening 600 career goals. Thank you, Mr. Bettman. 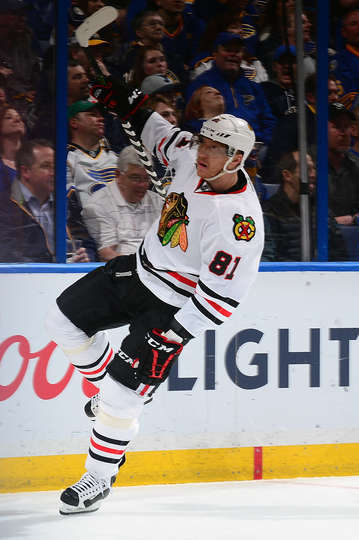 Regardless, Hossa, now in his 18th season, a 13-time All-Star, still has gas in his tank, and is still arguably, one of the best two-way players in the league. A team player, and a mentor to many, Hossa will no doubt find himself in the Hockey Hall of Fame. Until then, Hossa will focus on returning to the Stanley Cup Finals to possibly drink from the Holy Grail of hockey for a 4th time. The rest of us can only cheer him on. The Blackhawks started the game with 14 shots on goal while yielding 8 to the Wild and played a good neutral zone trap to prevent odd man breaks, which was different than their previous game in Washington. 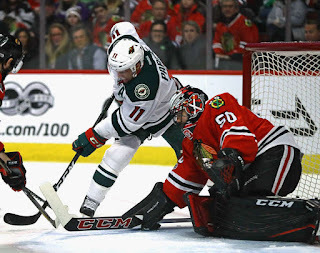 Patrick Kane started the scoring with his 13th goal of the year as he wristed a shot from the far circle that Devan Dubnyk, (33 saves) got a piece of, but not enough, to give the Hawks a 1-0 lead, which held through to the first intermission. 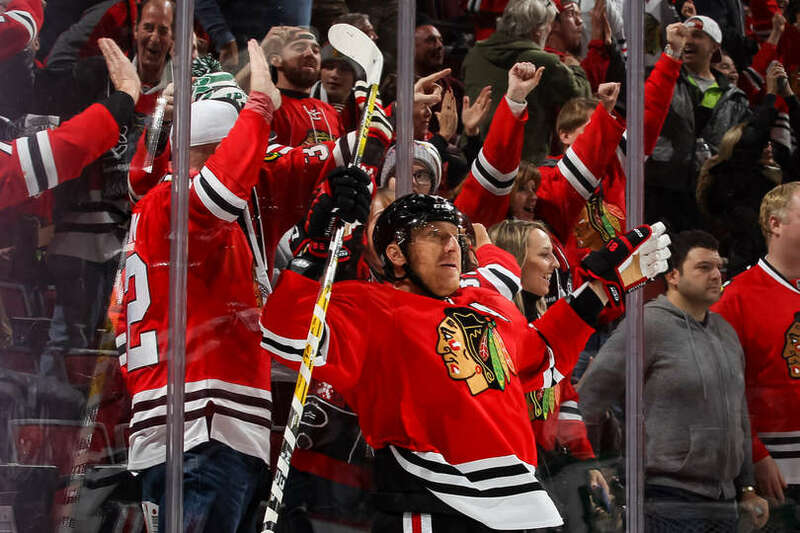 Kane kept the scoring going as he scored his 2nd of the night right off of a faceoff to cushion the Hawks lead, 2-0. From their, the Hawks stopped playing their game and Minnesota went ...well...wild. They responded with a power play goal to cut the lead in half, as two Wild players were left alone to pounce on a Corey Crawford (29 saves) rebound. Chris Stewart would then tie the game at two as he went short side on Crawford while being left wide open at the slot. Both Dubnyk and Crawford made huge saves the rest of the period keeping the game tied at two at the intermission. 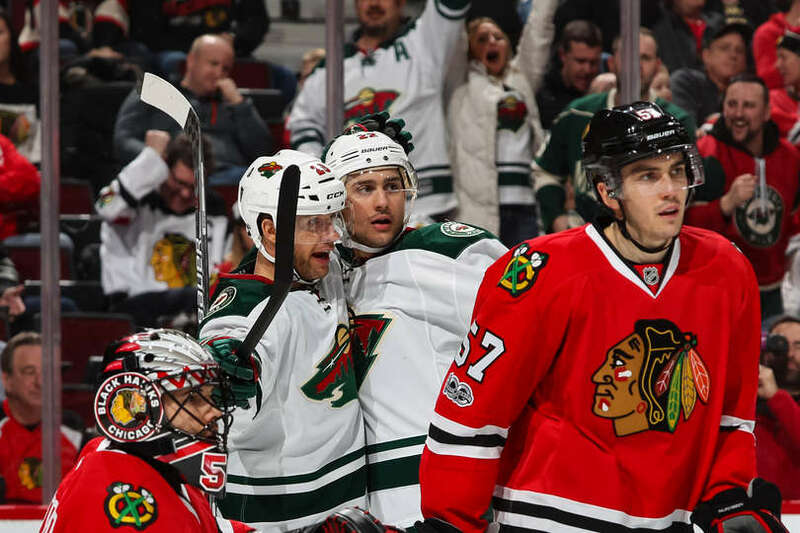 In the 3rd, the Wild scored their 3rd unanswered goal as Jason Pominville, who hadn't scored in 20 games, was left all alone in the crease to slam a loose puck behind Crawford for a 3-2 lead. Minnesota controlled the period and a late power play and a grazed post for the Hawks were not enough to get the equalizer. Notable Mentions: The Blackhawks may have had 35 shots on net, but 95% of those shots did not have ANY traffic in front of Dubnyk. The Wild's back check was impenetrable as they constantly would have 4 players back in their zone by the time the Hawks would reach the Wild blue line. Patrick Kane was on a mission tonight with 27:09 TOI and a career high twelve shots on goal, while Jonathan Toews had zero. The Wild have now beat the Blackhawks eight consecutive times in the regular season dating back the last three years. Sunday marks the first meeting between the two top teams in the Western Conference. 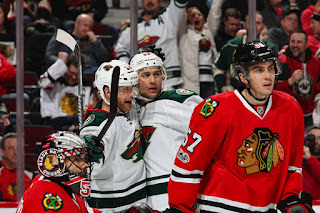 The Wild come into the United Center winners of 15 of their last 17 games (15-1-1). The Blackhawks have played .500 hockey in their last 10 (5-4-1). The Blackhawks are coming off a drubbing they suffered from the hands of the Washington Capitals on Friday night, 6-0, where they started the game down 3-0 after one period. They have had some rough first periods throughout the year, but not against a caliber team like Washington, and they took it to the Hawks. 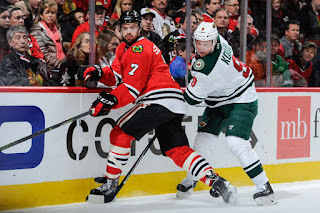 The Blackhawks better be ready for Minnesota, who have the 2nd bet goal differential in the league (+44), Blackhawks, (+11) and have given up the least amount of goals in the league (86), Blackhawks (113). The Blackhawks may be without their point leading center, Artem Anisimov, who did not attend practice Saturday due to an illness. To account for his possible scratch for Sunday's game, the Blackhawks have recalled Nick Schmaltz from their AHL affiliate, Rockford Icehogs. Coach Quenneville today, announced that Marcus Kruger, who has been on injured reserve since December 31st with an upper-body injury, is not coming along as planned. His return may be longer than the original three weeks as previously hoped. The Wild play in Dallas against the Stars on Saturday, before coming to Chicago on Sunday. The Hawks should take that time to think about what happened in Washington and prepare for one of the hottest teams in the NHL, and a divisional rival, that is breathing down their neck. Corey Crawford (16-9-3, 2.47 GAA, .922 SV%) will get the start for the Hawks, as Devan Dubnyk (22-7-3, 1.77 GAA, .940 SV%) will get the nod for the Wild. 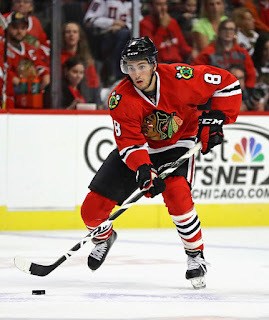 The Chicago Blackhawks today recalled forward, Nick Schmaltz, from their AHL affiliate, Rockford Icehogs. 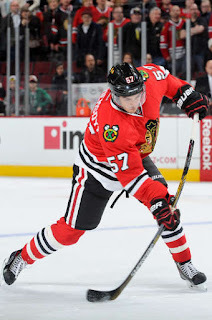 Artem Anisimov did not practice today due to an illness and coach Joel Quenneville is unsure of his status for tomorrow's matchup against the Minnesota Wild who are 2 points behind the Hawks in the standings with 5 games in hand. Schmaltz, 20, a rookie, was the 20th overall pick in the 2014 NHL Entry Draft. He started this year with the Blackhawks playing in 26 games and gathering 4 points (1G 3A). Since being sent down to the Icehogs in early December, Schmaltz has played 12 games and has 9 points (6G 3A). His stay will most likely be a short one, as the Blackhawks are trying not to recall any players if not needed. The Blackhawks would like to bank salary cap space money in case a move is made at the NHL trade deadline for another run at Lord Stanley's Cup. 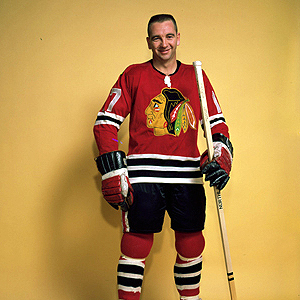 Blackhawks Great Kenny Wharram Passes Away At 83. 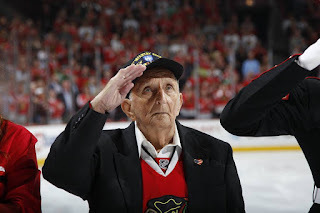 The Chicago Blackhawks lost one of their legends as Kenny Wharram past away at the age of 83. 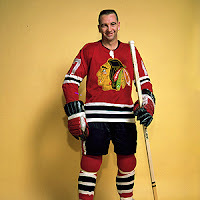 Wharram was part of the 1961 Stanley Cup Championship team and played on a line with Stan Mikita. He enjoyed seven straight seasons where he scored more than 20 goals. His career was cut short when he was diagnosed with myocarditis in September, 1969. Myocarditis is inflammation of the heart muscle. Symptoms are similar to a coronary. He had just come off of two of his best years of his career by scoring 69 points in each of those seasons. His best year had come in the 1963-64 season where he scored 71 points (39G 32A). 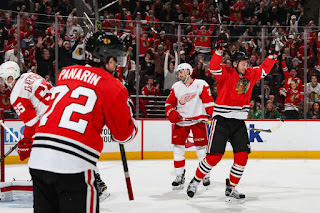 The Chicago Blackhawks and Detroit Red Wings faced off for the 732nd time and it was as exciting as any of the other 731, as it took overtime before Duncan Keith slapped home a power play goal to give the Hawks a 4-3 victory at the United Center. Both teams combined for 79 shots. The Blackhawks have had issues starting games, but they started arguably with their best first period of the year. 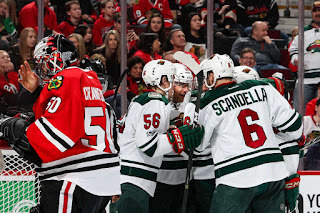 They drew 3 penalties, outshot Detroit, 16-7, and took a 2-0 lead into the first intermission on goals :26 seconds apart by Brian Campbell (4th), and Richard Panik (10th). As good as they played in the first period, was as bad as the Blackhawks played in the second. Detroit found their skates and were flying around the Hawk net as they scored two goals to tie the game midway through the period. Tanner Kero scored his first goal of the year by picking up a rebound in front of the net and slamming it past Red Wing goalie, Petr Mrazek (39 saves), to give the Hawks a 3-2 lead with under two minutes left in the period. But, with :19 remaining, the Red Wings tallied they tying goal as Luke Glendening flipped a puck over Corey Crawford (33 saves). The third period saw both goalies play strong as there was no scoring, but scoring chances were plenty. At the end of the third period, Red Wing forward, Justin Abdelkader, who hadn't played since December 1st, took a penalty with :16 remaining in regulation. In overtime, Keith ended the game with a PPG. Notable Mentions: The line of Ryan Hartman - Tanner Kero - Richard Panik combined for 5 points (2G 3A), +4, 10 shots, and drew 5 of the 7 Detroit penalties. Hartman, in his last 4 games has 6 points (4G 2A), +5, 16 shots. Campbell's goal gave him 499 career points for his career. For Crawford, it was career win 197. 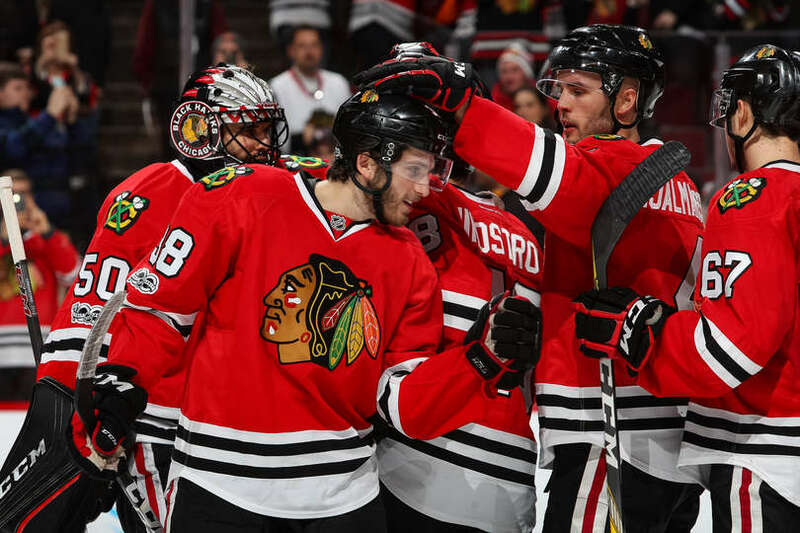 The Blackhawks swept their 4-game home stand, after losing 5 of their previous 6 games. 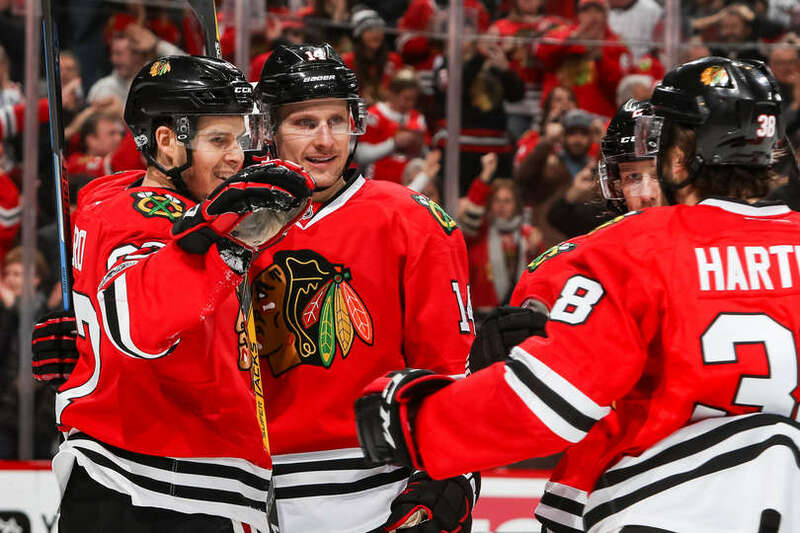 The Blackhawks improved to 17-6-5 in one goal games this year. Ryan Hartman recorded his first career hat trick, and Patrick Kane recorded three assists as the Chicago Blackhawks won their third game in a row, 5-2 over the Nashville Predators. This was the third game of a four game home stand for the Hawks. It proved to be what the doctor ordered after losing five of their previous six. Artemi Panarin started the scoring with another of his patented one-timer's, fed to him by Kane, that beat Predators goalie, Pekka Rinne stick side. It was his 17th of the season. It was short lived as Mattias Ekholm tied the game just :45 later. Niklas Hjalmarsson would score his 5th goal, a career high, to put the Hawks back on top 2-1, provided by traffic in front of the net by Artem Anisimov. After a scoreless second period, Austin Watson tied the game for Nashville just two minutes into the third. Enter Ryan Hartman. He scored his first of three goals while crashing the net and having a Richard Panik shot deflect off of him and into the net to give the Hawks a 3-2 lead, just over half way through the 3rd. Corey Crawford (25 saves), had to be strong in net, along with the goal post, that the Predators rang 3 shots off of during the night. Hartman would score his second goal as he slapped a bouncing puck that trickled into the empty net when Rinne (26 saves), for the extra attacker. With Rinne still pulled, Hartman finished off his natural hat trick en route to the 5-2 victory. Notable Mentions: Duncan Keith, who assisted on Hjalmarsson's goal, gave him 487 points as a Blackhawk, tying him with Hockey Hall of Famer, Chris Chelios for 3rd most points as a defenseman. Keith also registered 5 blocked shots tonight. Kane's 3 assist performance gives him 7 points in his last 3 games (1G, 6A). the combo of Keith and Hjalmarsson combined for 3 points (1G 2A), +5, 5 shots, 9 blocked shots, and an average TOI of 25:10. Half of the 2016-17 NHL hockey season is in the books and the Chicago Blackhawks find themselves on top of the Western Conference. Not a bad place to be considering that 1/3 of the starting forwards on last year's playoff roster have moved on (Ladd, Shaw, Weise,Teravainen, Fleischman). In their place, are new faces like Hartman, Hinostroza, Rasmussen, Motte, Schmaltz, and Tootoo. Not the scoring phenoms that anyone would expect, but all have played their roles when tapped upon to provide the games that they play. The fact that the Blackhawks are on top of the Western Conference is not that far fetched, but taking notice of the injuries to major contributors, and that they keep winning is an eye opener. Artem Anisimov and Marian Hossa account for 30% of their goal production. Anisimov, 29, is off to a career year, but more importantly, in the 1st of a 5-year contract with a very friendly $4.5mil cap hit. Hossa, 38 in 5 days, 1/12, is on a surge with 16 goals in 35 games this year, whereas last year, he had 13 goals in 64 games. Jonathan Toews, 28, has won 58% of this faceoffs and has taken 30% of the entire team's faceoffs. Without him, the team would be at 44% efficiency instead of nearly 49%. May not sound like much, but the Blackhawks pride themselves on puck control. You lose a faceoff in your own zone, it can end up in the back of your net real quick. The Blackhawks defense added a familiar veteran in Brian Campbell, 37, signing a 1-year contract at a $2mil cap hit. He isn't what he once was, but can chew up minutes, averaging nearly 19 minutes a game and provide a steady defense, and a quick outlet pass from his own zone. They are not the youngest team in the league, but their experience outweighs many other teams. They are 16-6-5 in one-goal games this year. That experience and ability to play a tight game will be great for the younger players come playoff time. 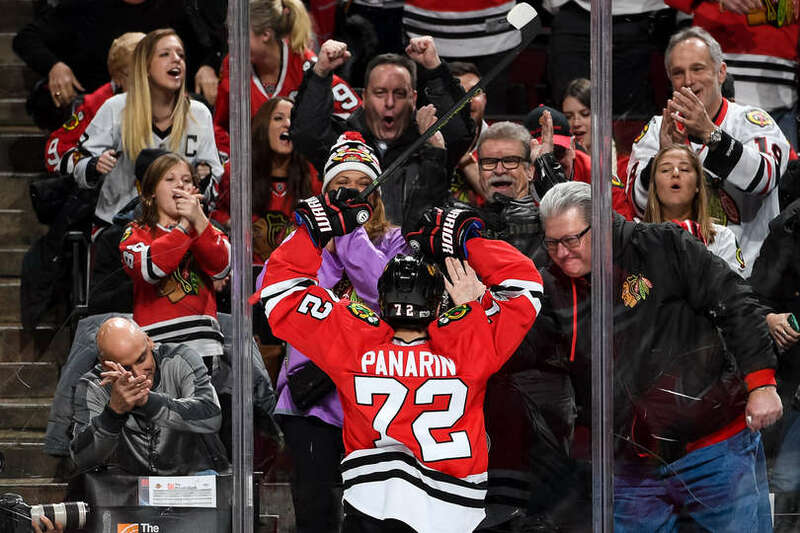 The top line of Anisimov-Kane-Panarin is still one of the most potent in the league. Their weaknesses? Penalty killing has been horrible for the Hawks. They rank at the bottom of the list for PK% (75% compared to league avg. of 81%). They also are not clean on getting the puck out of their own zone, relying heavily on Crawford and Darling at times to bail them out. Because of the young forwards they now have, back-checking has been a problem causing odd man breaks and missed assignments. Looking forward to the second half of the season, one would expect the Hawks to continue playing in close games and finding ways to win, while trying to stay healthy come playoff time. February-March seem to be the "dog days of winter" for the Hawks as they tend to slip a bit between that time period historically. They may not finish on top of the Conference, but i don't think anyone would care to take home the President's Trophy when Lord Stanley's Cup is the Holy Grail sought out by all.